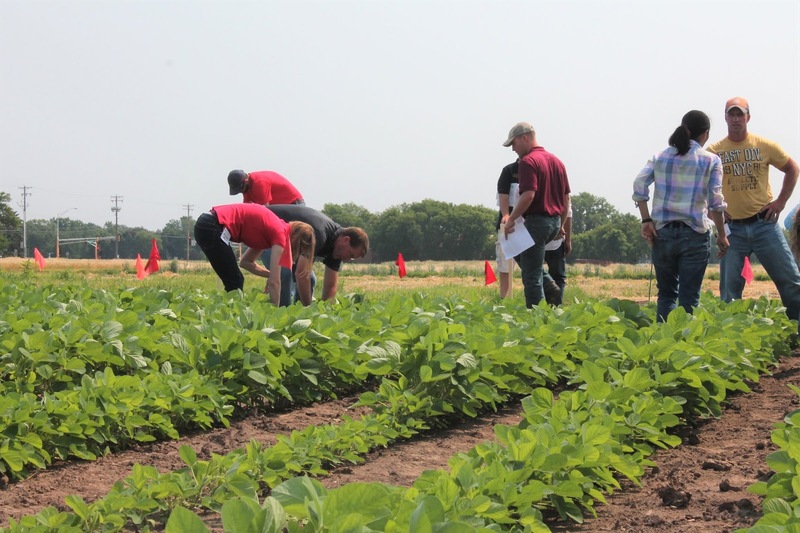 The University of Minnesota Extension and IPM program are sponsoring an Ag Professional and Grower Insect and Disease Field Day. 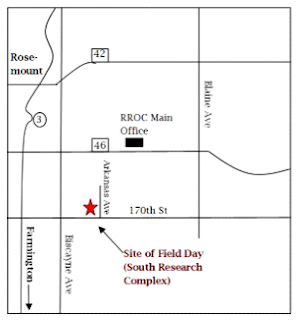 The Field Day will be held on Wednesday, September 5 from 9:00 am to 1:00 pm at the Rosemount Research and Outreach Center located at 16975 Arkansas Avenue in Rosemount. Agricultural professionals and growers are invited to the field day for a tour of applied insect and disease research conducted by University of Minnesota Extension faculty. Topics will include soybean aphid research, corn and soybean diseases and corn rootworm research and management. To reserve your spot, register online at http://z.umn.edu/insectdisease or contact Larisa Jenrich at 651-480-7732 or jenri001@umn.edu. Dr. Dean Malvick will provide an update on soybean and corn diseases through discussion and visits to field research plots. 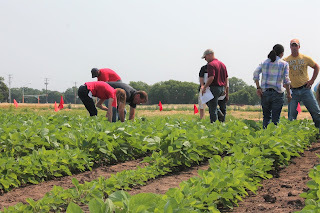 This part of the field day will emphasize sudden death syndrome (SDS) and white mold of soybean, and northern leaf blight, bacterial leaf streak (BLS), and Goss's leaf blight and wilt of corn. Most of these diseases can greatly reduce yields. Weather conditions in 2018 have been favorable for development of SDS, BLS, and Goss's wilt in some areas. Other diseases developing in the state this year will also be discussed. Dr. Ken Ostlie and Edwin Benkert will provide an update on corn rootworm status and management strategies as we visit field research plots on transgenic Bt corn and soil insecticide performance. Over the last decade, corn rootworms have been primarily managed with Bt-RW traits. Declining corn economic situation have growers re-thinking their management inputs with a shift from traits to conventional corn and soil insecticides. Complicating this situation is the ongoing development of Bt-RW resistance, changing population dynamics of western and northern corn rootworms, and increasing use of soil insecticides.